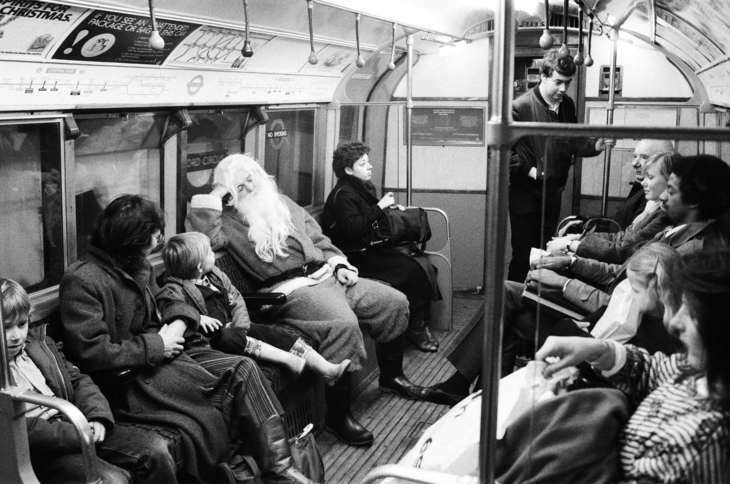 Santa on the tube; we can just about get. 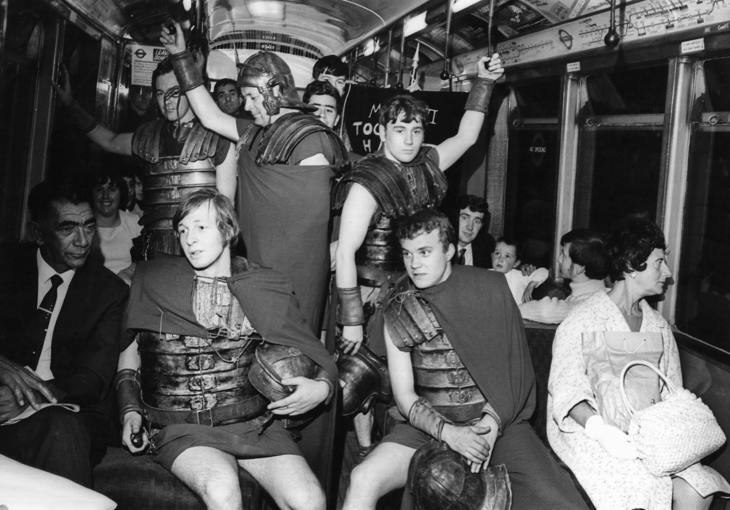 But a group of Roman legionaries? 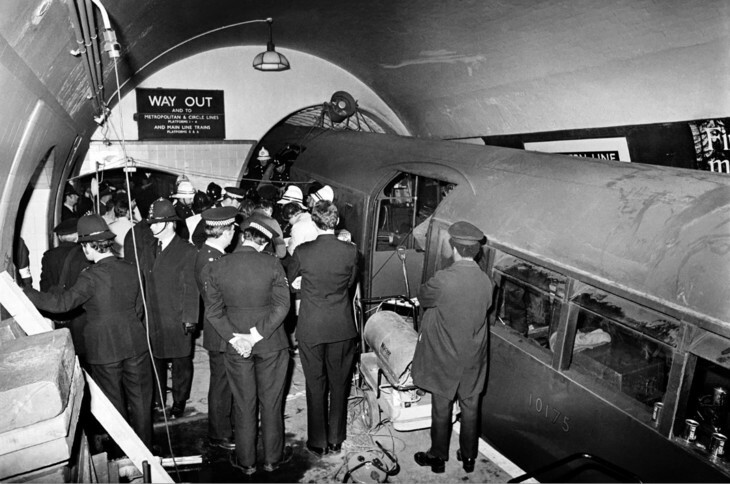 The book Tube Life: London's Underground in Photographs, is packed with fascinating images. Here are six of them, taken from six different decades. 30 September 1940: Lance-Corporal Herbert K. Knightley (front left) and his bride, Miss Irene Bavin (front right) in their bridal chamber. 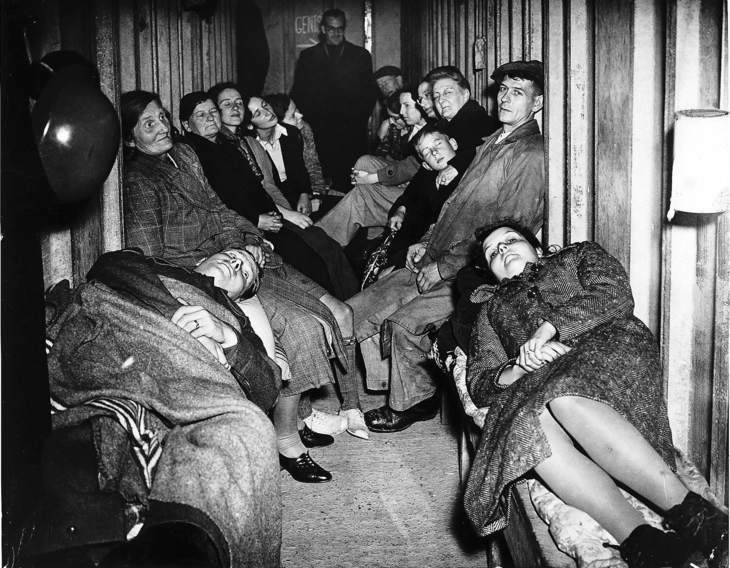 They settled down to sleep after relatives had drunk to their health. 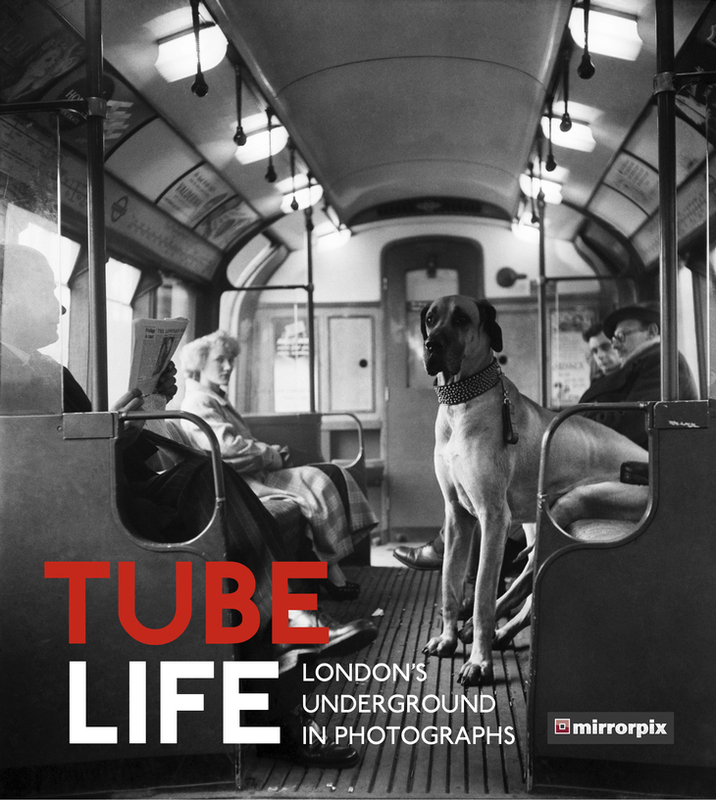 Tube Life: London's Underground in Photographs, is available to buy from 3 September 2018. RRP £9.99. 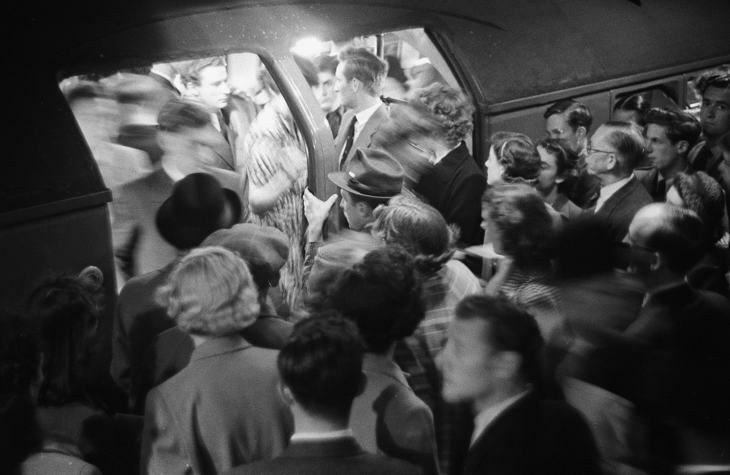 Join us to chat about all things related to London transport on our Facebook group, Londonist Roundel Ramblings— everyone welcome.